Windows 8 or Windows 8.1, Windows 10 is a new operating system and you think everything has changed. Well, adjusting volume levels and calling the on-screen Windows 8, Windows 10 Volume UI is as easy as it was with Windows 7. Read below to find out more. 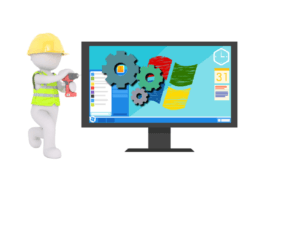 If in previous Windows versions most of the users knew exactly where to find the Volume Control icon (located in the System Tray) and where to go if they wanted to adjust settings in a more advanced way, in Windows 8, Windows 10 locating the volume control might be puzzling at first. With the advent Metro interface, users trying to locate these features have been faced with a little bit of a dilemma. Even so, after a bit of fiddling around with Windows 10, Windows 8, users will be able to change the volume levels quickly. Keep in mind that this also applies to Windows 10, Windows 8.1, so if you’ve updated recently, you can still adjust your volume using this method. 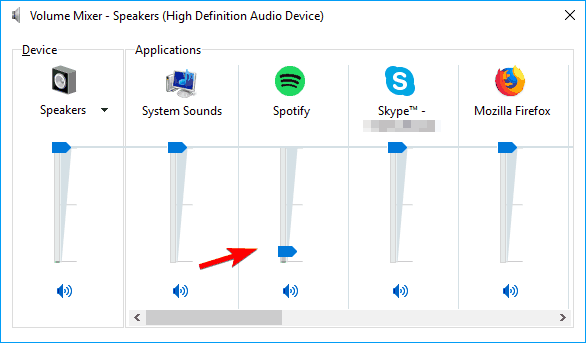 Windows 10 Volume Control missing, disappeared – Many users reported that Volume Control option is missing from their PC. This most likely isn’t a serious problem, but it will prevent you from adjusting your sound volume. 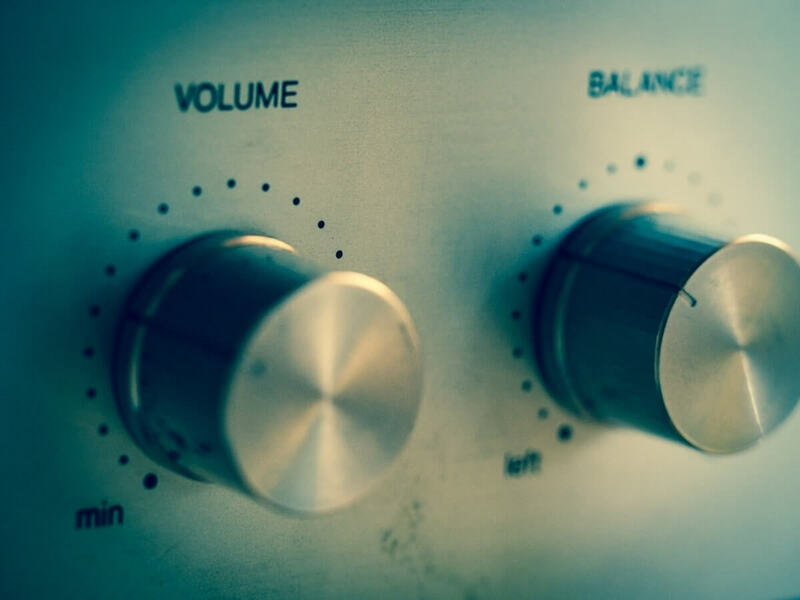 Adjust volume levels windows 10 greyed out – Several users reported that volume levels are grayed out on their PC. This can be a big problem and prevent you from changing the volume level on your PC. Volume control keys not working – Many users use their keyboard keys to adjust the volume on their PC. However, some users reported that their volume control keys aren’t working properly. This is usually caused by outdated or corrupted driver. Volume control not opening, not showing – This is another common problem that can occur with Volume Control. Users reported that Volume Control won’t show or open on their PC. The most simple way of turning volume up or down is to hit the hardware volume buttons: Volume Up and Volume Down, thus prompting an Volume overlay to appear on the screen. Of course, this options only applies to those who actually have media keys on their laptop or keyboard. If you own a Windows laptop or an Ultrabook you might find on your keyboard a Mute button. Activating that button will have the same effect described above – the Volume overlay will appear on your screen and you can slide the volume level with your mouse pointer. Click the Volume Control icon in the bottom right corner. Now you’ll see a new window that allows you to adjust your volume. Simply click the volume bar to set your volume to a desired level. If you want to fine-tune your volume level, you can also use your mouse wheel to gradually adjust the volume. As you can see, this is one of the simplest and fastest ways to adjust the volume on your PC. Even though this method is simple, it doesn’t allow you to adjust the volume for individual apps. If you want to adjust volume levels for individual apps, you can do so using the Volume Mixer. This is a great feature because it allows you to adjust the volume for individual apps on your PC. 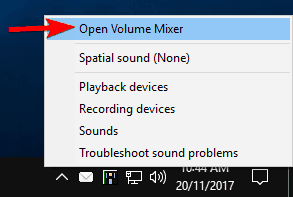 Right click Volume Control icon in the bottom right and choose Open Volume Mixer from the menu. Now you’ll see the list of open applications along with their sound levels. If needed, you can adjust the sound level for each individual application on your PC. All sound levels are independent so changing the volume in one application won’t affect other apps. If needed, you can also mute a specific application instantly right from the Volume Mixer. This is the most advanced method that you can use to adjust the volume on your PC. This method might not be as fast as the previous one, but it allows you to change the volume for each app individually, so we definitely recommend you to try it out. If you cannot adjust the volume of your PC after using all the solutions above, using a third-party equalizer software. 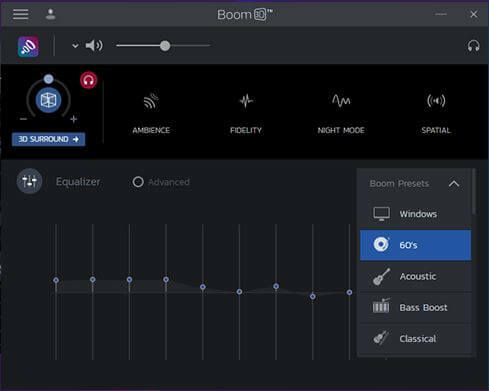 We recommend you Boom 3D for Windows 10. This tool’s primary purpose is to clean and enhance the sound of your laptop or PC. By using its advanced features, you will be able to adjust your volume. First of all, you have a powerful equalizer that can be easily used by everyone. You will find a bank of presets that you can use or you can create your own preset from scratch. This feature is very useful, especially when you don’t have a clear sound. Moreover, you can add special effects to the presets so the sound will be just as you wish. 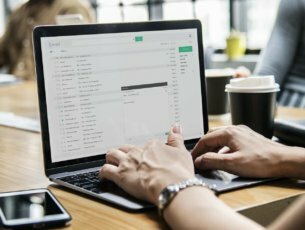 Another important feature that could help you in this situation is choosing your output device. You can choose what kind of headphones you have and adapt the sound to their construction. This feature is not necessary for normal speakers as you can do it easily from the equalizer. We strongly recommend you to check this software on your PC and let us know how had you adjusted your sound using it. Users often use third-party software to adjust the volume on their PC. Many audio drivers and sound cards will install their own volume control software that you can use to adjust your volume. Third-party software works similarly to the Volume Mixer, so you won’t have any issues adjusting to it. It’s worth mentioning that third-party software also supports various volume enhancements, so you can easily add various effects if you like. In addition, these tools also have built-in equalizers so you can fine-tune your volume. You can even save various equalizer and sound settings and switch between them with a single click. Third-party solutions are perfect if you’re an advanced user and if you want to fine-tune your sound. However, for most average users Volume Mixer should provide more than enough control over their volume levels. As you can see, there are many different methods that you can use to adjust the volume levels on your PC. The quickest method is to use dedicated multimedia keys on your keyboard, but not all keyboards support this feature. You can always use Volume Control icon, but if you want to adjust the sound volume for individual apps, we highly recommend to use Volume Mixer.